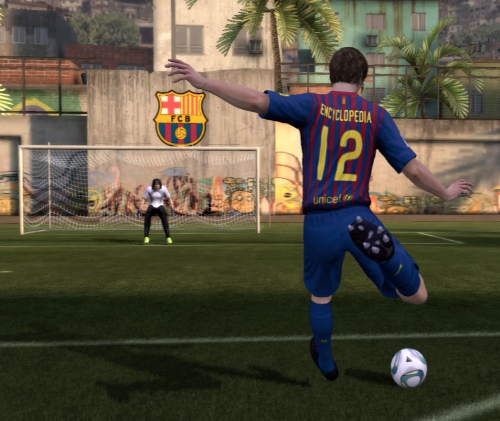 A returning feature to FIFA 13 is the Virtual Pro mode, in which you can create a player and increase his skills. You can also use this Virtual Pro to unlock content and features, some are specifically for your pro to use, some are features you can use throughout FIFA 13, such as new celebrations or boots. Your player will unlock new skills and traits which in turn affect his overall. Keep in mind that it is impossible for your player to reach 99 Overall, the max is around 90. By viewing your Accomplishments, you can see which ones you still need to achieve and how to do so, and which ones you have already gotten. Keep in mind that FIFA 13 does not have any secret achievements, and all are viewable from the Accomplishment Book. Once you unlock an accomplishment, you will be given a reward for your efforts. Most of the time, this will be improved levels or traits which will be updated automatically, but sometimes you will receive accessories. To use your earned accessories, or to edit your Pro in other ways, go to 'Edit Pro', from the Virtual Pro mode interface. One of the most unique aspects of Virtual Pro, or FIFA 13 in general is Game Face, which allows you to download an image of your own face to be used for your Virtual Pro! You can do this online via EA Sports' website. However, before you get into this I recommend taking a quick look at my guide on Game Face here. While you can take your player into a match in nearly any offline game mode in FIFA 13, you may want to use them online. Your Pro will be available in Unranked games if you select the team he plays for, Pro Clubs, and Pro Ranked Matches.